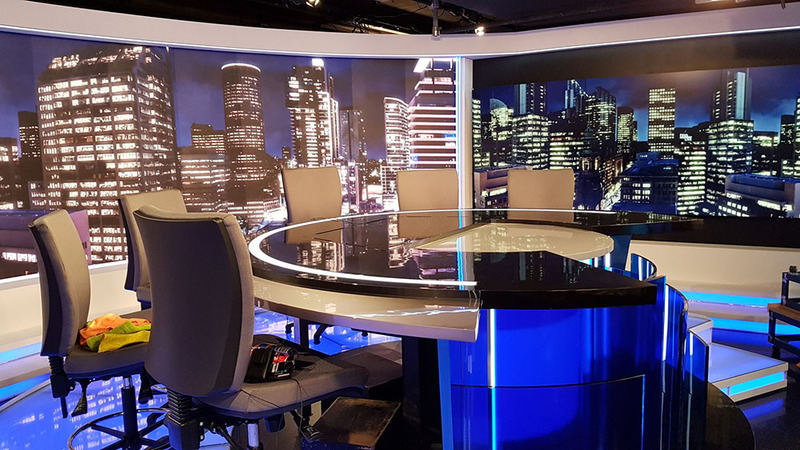 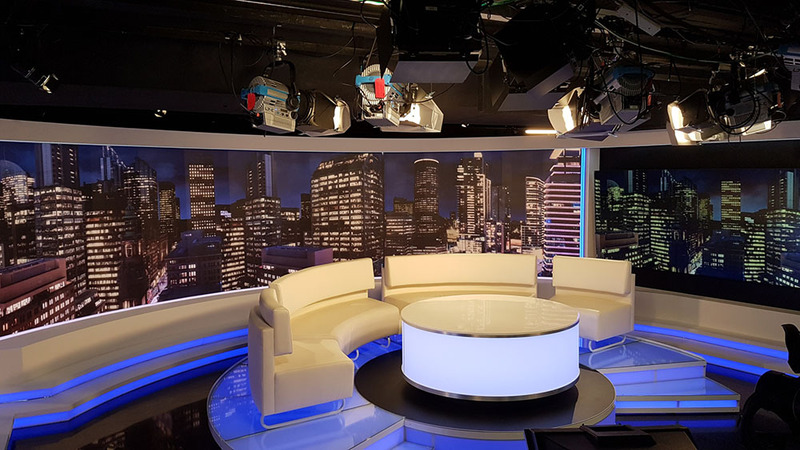 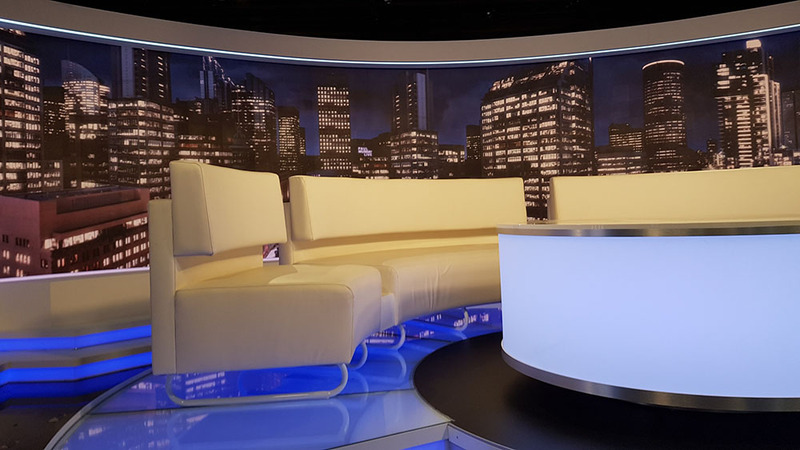 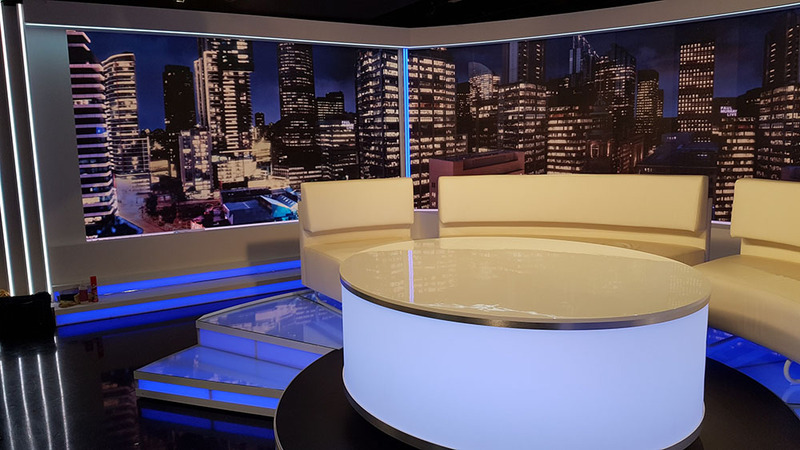 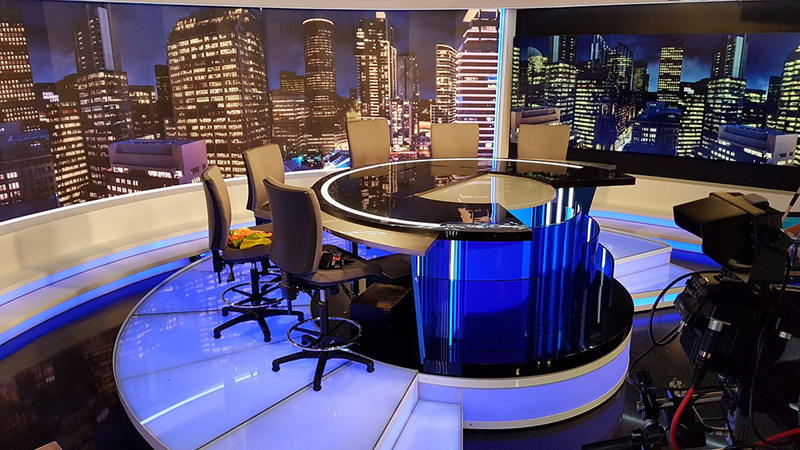 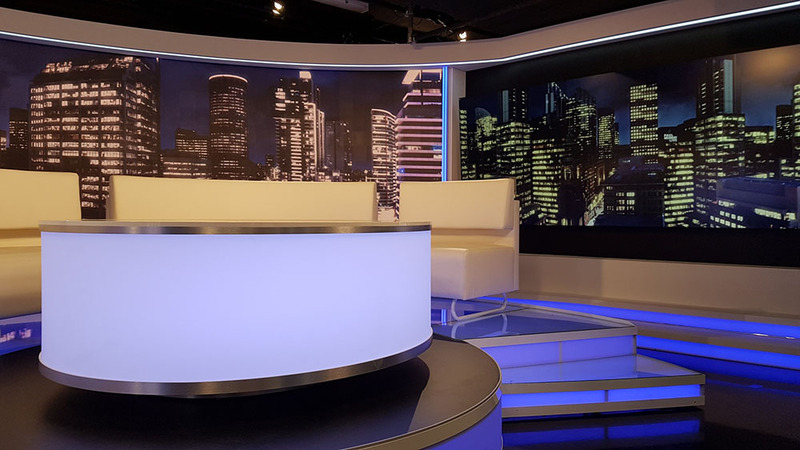 The set construction for Paul Murray Live on Sky news was a challenging project involving the installation of a 1.9mm curved LED screen. 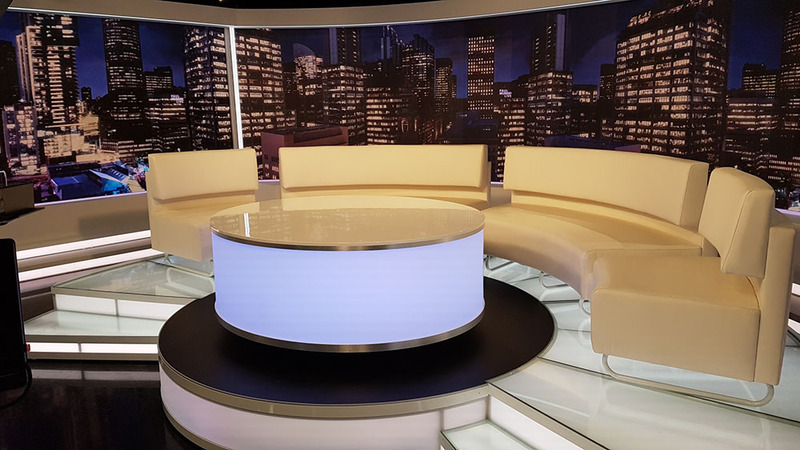 Our clients specified flexibility in the set construction to enable interchangeability of a desk unit and a curved leather couch for alternative programming. 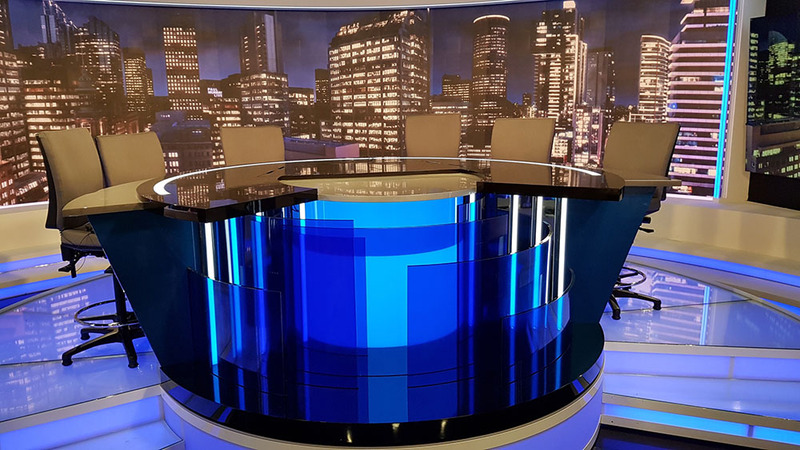 The finishing of the set incorporated a 2pack high gloss finish to the desk unit, with 20mm curved acrylic to the front. 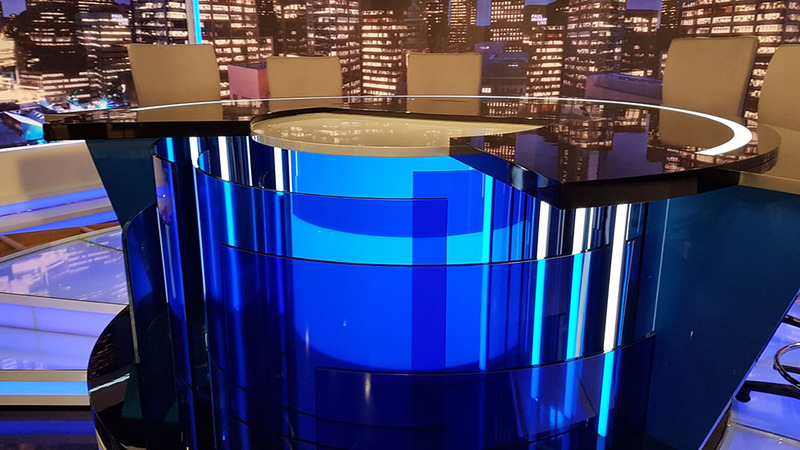 The main rostrum was constructed out of lightweight aluminium frame with RGB LED lighting underneath to illuminate the toughened glass on top of the rostrum. 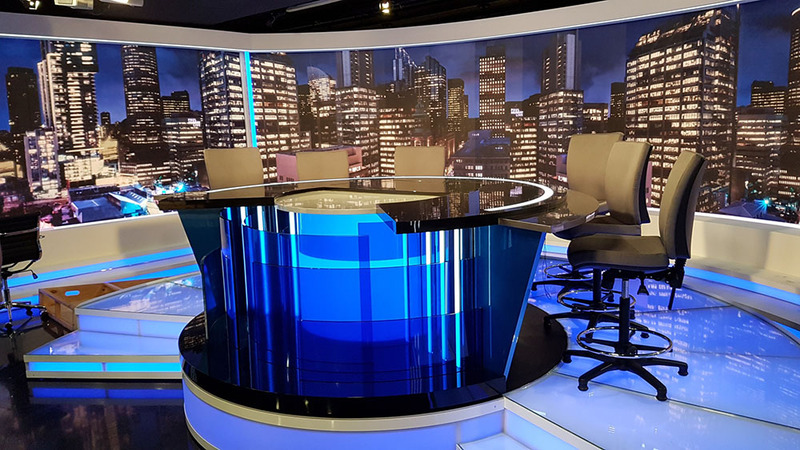 The set construction was completed over a 12 week period, including the installation of the 1.9mm LED screen. 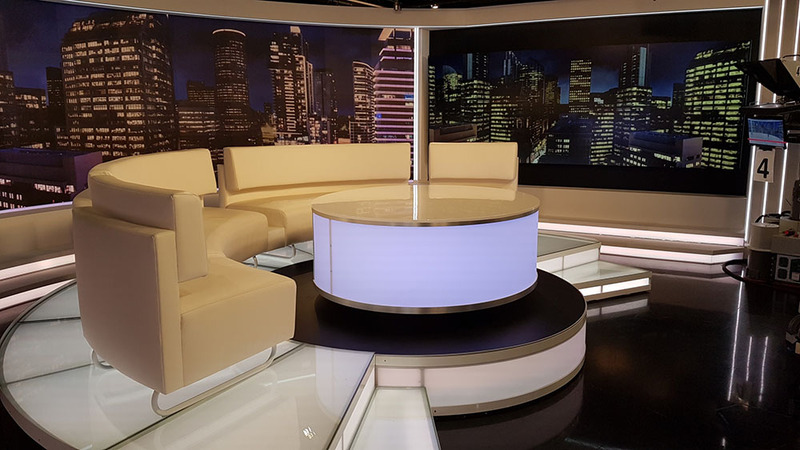 Set installation was done over a weekend, ensuring that the existing studio could operate without interruption. 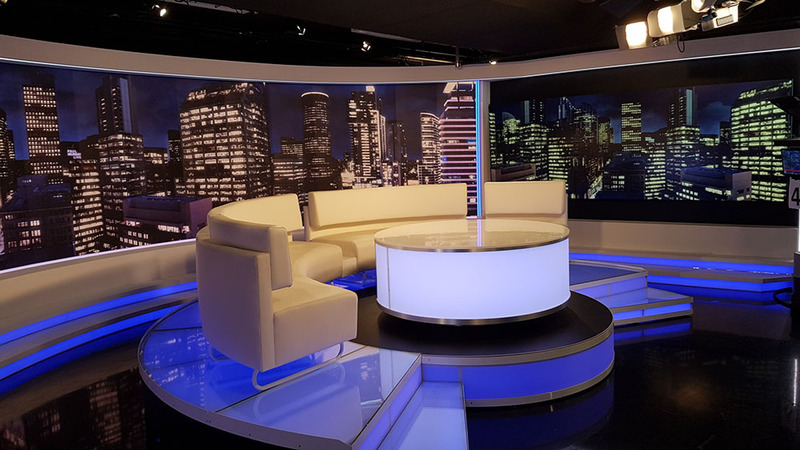 Our client was very happy with the end result.